You take pride in your Maple Lake MN home and it shows. Why stop when it comes to the area above or around the Septic Tank? Those concrete Manhole Covers and Electric Boxes are not very attractive and can take away from the aesthetics of your yard. If you are planning to Hide or Disguise the septic tank manhole, these Do’s and Don’ts of Disguising Your Septic Tank from CSI Custom Septic, Inc. can help to save you money by avoiding costly repairs. We are a Licensed Septic Contractor that has seen many septic systems damaged from rocks or mulch that are mistakenly placed in the wrong area. In trying to Decorate, Hide or Disguise a septic tank, many homeowners are making mistakes that result in expensive repairs. At CSI Custom Septic, Inc. we have seen just about everything from decorative rocks to wood chips to dog kennels that should NOT be placed over the septic tank or manhole cover. Don’t get discouraged. There are plenty of ways that you can Decorate or Cover Up ugly septic system components, without causing damage. The Manhole Cover, Electric Box and Inspection Pipes are easily hidden away by using the following Septic Tank Disguising Techniques. 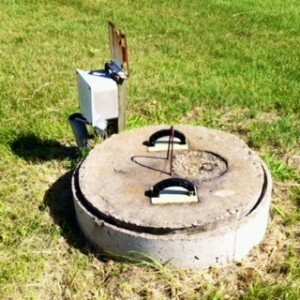 CSI Custom Septic, Inc. is a MN Licensed Septic Contractor since 1995. Our many years of experience has provided a front row seat to the destruction caused by unknowing property owners. We have also seen many creative ways that people have used to add interest and beauty to unsightly Septic System Components. Let us help you to Design and Install a septic system that is built to last for 10, 20, 30 or more years with proper care and maintenance. In Maple Lake MN, call Custom Septic Inc. (CSI) at 763-218-4769 for Septic System Designs and Professional Installations.